Clockwork, or All Wound Up. Pullman, Philip. Illustrated by Peter Bailey. First edition of Pullman’s suspenseful children’s tale. Octavo, original pictorial boards, illustrated. Inscribed by the author on the title page in the year of publication, “With greetings to Eileen – Philip Pullman 15 Nov. 96.” Illustrated by Peter Bailey. In near fine condition. Set in the village of Glockenheim, Germany in "the old days", Clockwork centres on the story of a young apprentice who has failed to make a figure for the town clock. 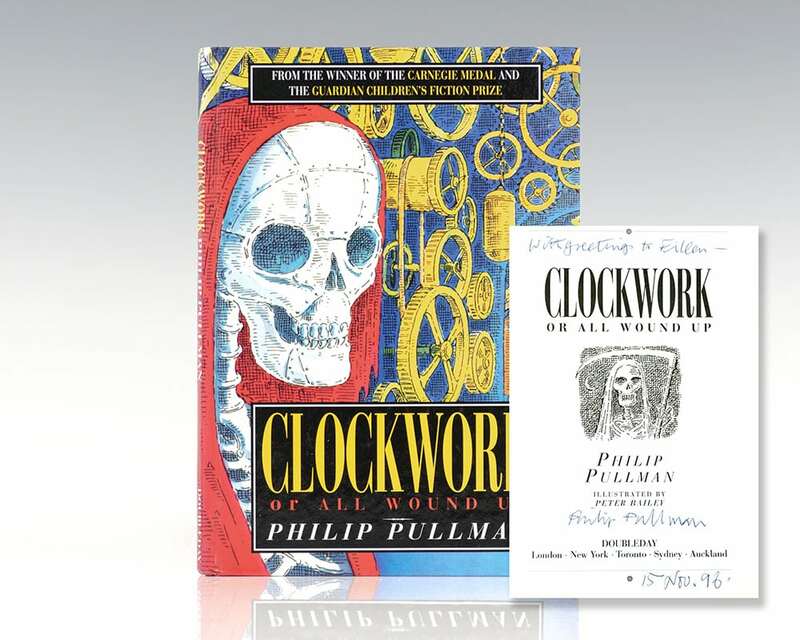 Inspired by a clock of antiquity Pullman came across in London's Science Museum, the amusing and suspenseful tale offers a strong moral message.